Spring is one of my favorite seasons. It’s a welcomed respite from the cold weather, and then as the season goes on, and the weather gets warmer, we’re exposed to beautiful blooming flowers. This spring, Essence of Beauty, the #1 best-selling fragrance and body care line available exclusively at CVS, has paired some of their favorite in-season florals like roses, lavender, and peonies, with complementary products from the line. Peonies are some of my favorite flowers. You may have caught on to that just by looking at the photos on this blog, as they makeup the majority of the props in the photos. However, this Fragrance Friday, peonies are making an appearance in a new way! 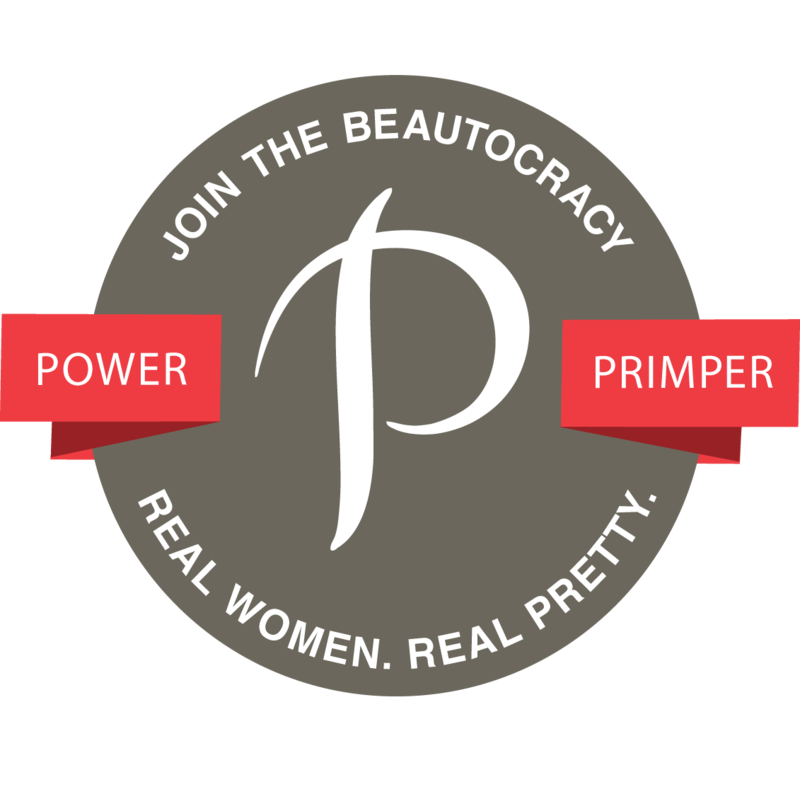 I’m featuring the Essence of Beauty Luscious Peony Fine Fragrance Body Mist. Currently, I use the Essence of Beauty Luscious Peony fine Fragrance Body Mist on my off-days and in the evenings before bed. Yes, I love spritzing on a bit of something after a shower before I head into bed. This mist is perfect for that because it is light, and isn’t too sweet and overpowering. I think that the Essence of Beauty Luscious Peony Fine Fragrance Body Mist is a beautiful, light fragrance that’s perfect for transitioning into the summer. It’s great for layering fragrances, and when the weather warms up, especially during a hot summer day, I can see myself popping it in the refrigerator, and misting it over myself to refresh and cool down. The Essence of Beauty Luscious Peony Fine Fragrance Body Mist is available exclusively at CVS stores for $6.99, and there’s also a body and hand cream in the same scent retailing for the same price. Other floral pairings include the rose Enchantment Fine Fragrance Body Mist, and Body Oil with Lavender and Rosemary ($9.99). Have you tried any of the Essence of Beauty floral fragrance products? This Fragrance Friday, we’re talking about two of Thierry Mugler’s newest fragrances: Thierry Mugler Angel Eau Sucree Limited Edition 2015, and Thierry Mugler ANGEL “The New Star” Eau de Parfum. Both fragrances were released earlier this year, and are packaged in beautiful blue star-shaped bottles. Eau Sucrée is a delicious new interpretation of ANGEL, an olfactory candy, born of a whirlwind of tangy freshness and angelic delights. Eau Sucrée takes us on an initiatory journey into the world of indulgence and gourmand pleasure, based on three delicious accords: the tangy delight of a red berry sorbet, the sweet delight of a caramelized meringue, the voluptuous delight of patchouli and vanilla. I fell instantly in love with the Thierry Mugler Angel Eau Sucree Limited Edition 2015 on first spritz. My husband loved it on me, too. I loved the light berry notes that are first emitted, and then it morphs into a sweet vanilla-caramel scent, which pretty much lasts for the duration of wear. Although I can’t describe it as a “fresh” scent since it isn’t composed of florals or citrus notes. However, it still makes a great spring fragrance, especially if you or your mom are looking for a light, sweet scent for spring or summer, and are fond of vanilla fragrances. Let’s not forget the bottle. 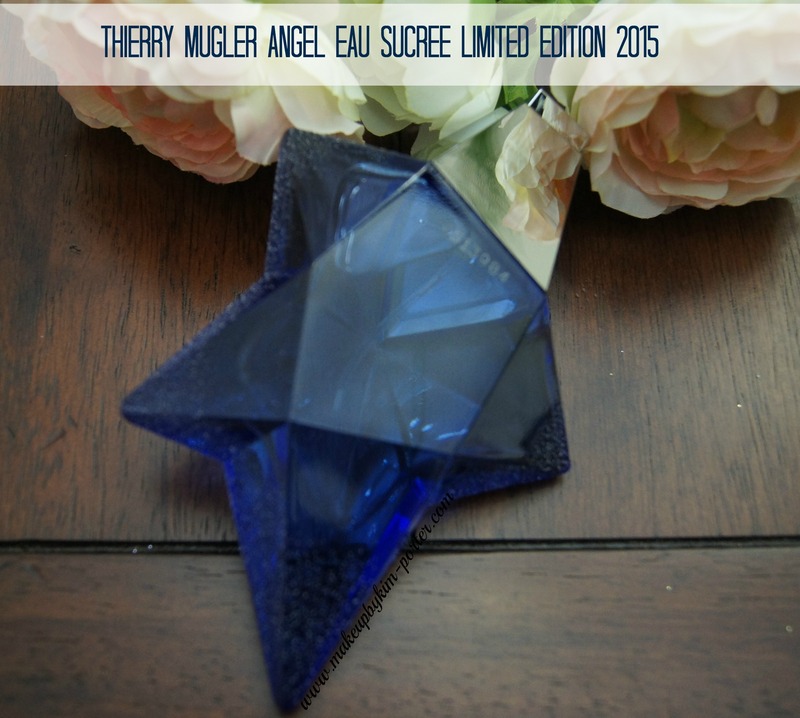 The Thierry Mugler Angel Eau Sucree Limited Edition 2015 is packaged in a pretty bright blue bottle with frosted glass detailing reminiscent of sprinkles of sugar, which gives the star-shaped bottle texture. Needless to say, this bottle adds some distinctive flare to my vanity, and I’m sure your mom would love it, too. ANGEL New Star is a stunning creation that celebrates ANGEL’s celestial legacy. A work of art carved out of starlight, this precious star was created to be treasured and refilled forever. Angel is a perfume with a lasting lingering trail; it has a distinct personality and pays tribute to a captivating, carnal and glamorous kind of femininity. Angel is also a bold perfume, created from an “uncommon” concentration of patchouli: it pushes the limits of immoderation and leaves no one indifferent. Since 1992, ANGEL has been one of the most iconic fragrances among women. Since then, Thierry Mugler has introduced four different versions of the ANGEL fragrance, each with a distinctive star-shaped, refillable bottle. 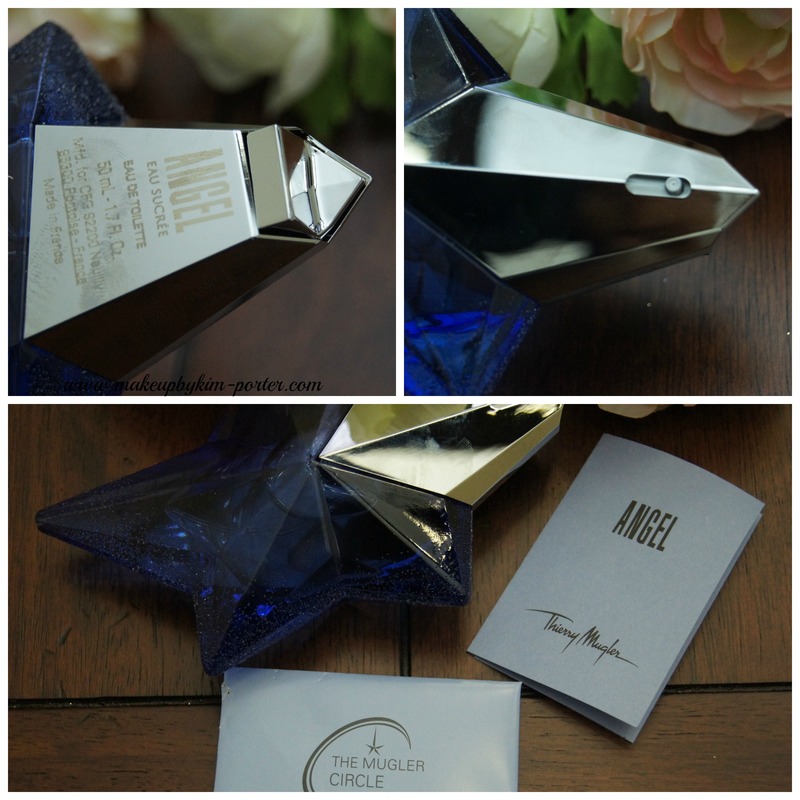 The Thierry Mugler ANGEL “The New Star” is Thierry’s 2015 Angel fragrance released March of 2015 housed within a beautifully, odd shaped star bottle that looks different at every angle. Thierry Mugler ANGEL “The New Star” is a very warm fragrance that’s heavy on the vanilla and patchouli. It has a blend of creamy chocolate, red berries, melon, blackberry and citruses. 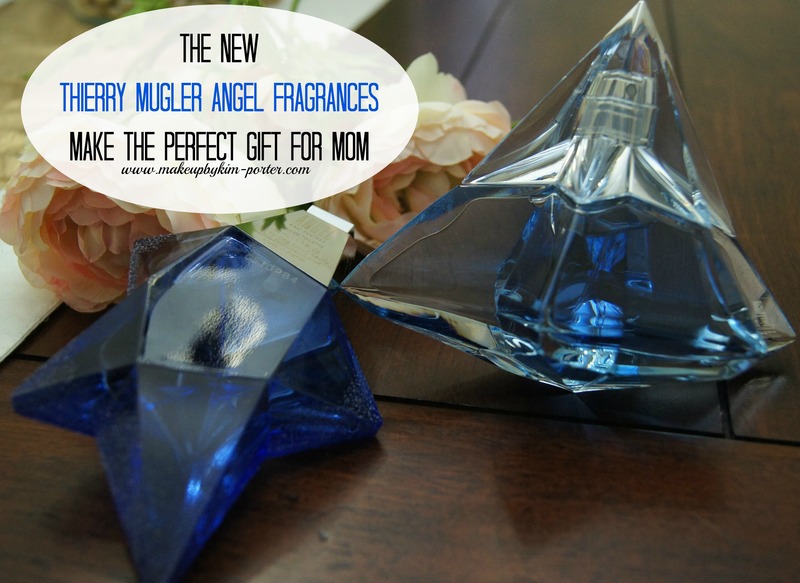 Thierry Mugler ANGEL “The New Star” is a bit too warm for a spring or summer scent, but that doesn’t mean mom can’t save it for the fall. Plus, I doubt she’d mind the beautiful bottle sitting upon her dressing table. Top notes of the composition accentuate bergamot, preceding juicy red berries, soft and sensual vanilla and patchouli, announced as the key notes of the composition. Thierry Mugler ANGEL “The New Star” is definitely a fragrance for a more mature woman; I’m thinking mid-40’s and up. If you think this is something that suits your mom or any mom in your life, pick it up. Even if it’s just for the bottle alone. Whether it’s a light, sweet berry with vanilla, or a deeper, warm fragrance that’s heavy on the patchouli, Thierry Mugler definitely has something mom would love. The Thierry Mugler ANGEL EAU SUCRÈE Limited Edition 2015 ($80), and Thierry Mugler ANGEL “The New Star” Eau de Parfum ($150) are available on mugler.com. This Hair Care Tuesday we’re talking about the Simplicity Hair Oil brand’s Simplicity Shampoo and Conditioner. 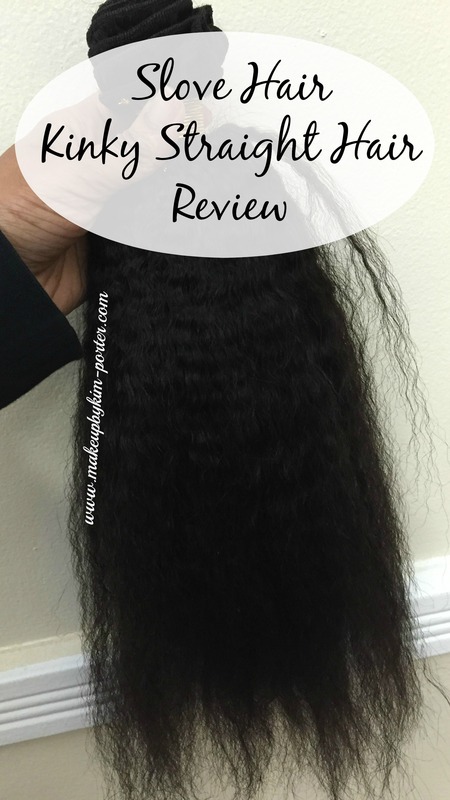 Remember I reviewed the Female Oil Blend Simplicity Hair Oil? The results were awesome! 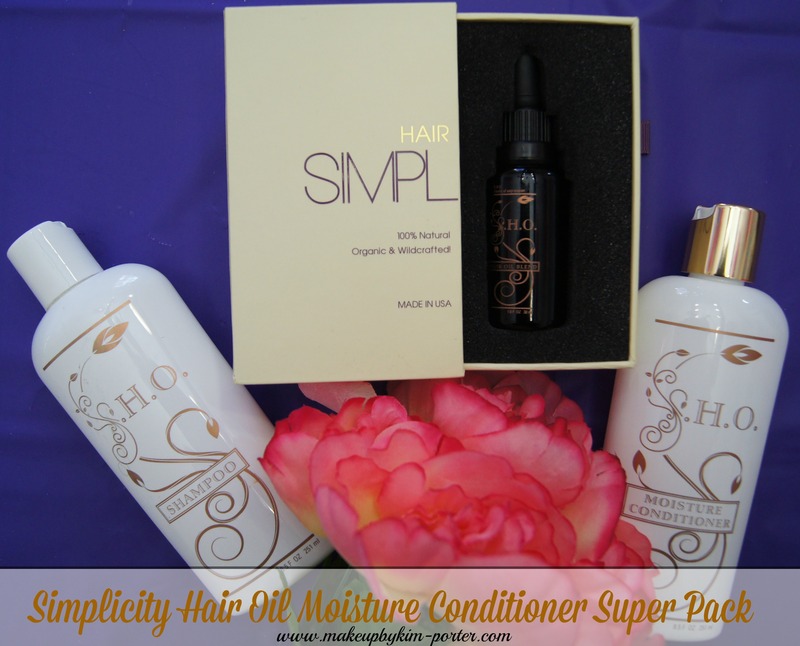 Well, since the oil came in a kit (Simplicity Hair Oil Moisture Conditioner Super Pack) that contained the Simplicity Shampoo and Conditioner, I thought it’s only right to review these items, too. Keep reading to learn what I think of the Simplicity Hair Oil Simplicity Shampoo and Conditioner. 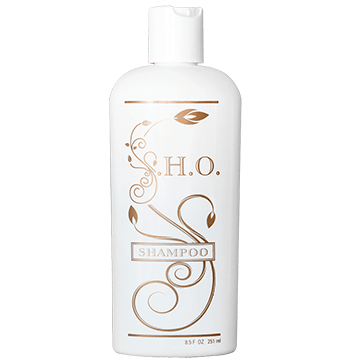 Simplicity shampoo is formulated with the essential oil of peppermint and ginger root, comfrey root extract, amino acids and B vitamins. This “sulfate-free” fine foam gently lifts dirt, oil or residue from the hair strand while bringing strength to the hair follicle. The Simplicity Hair Oil Simplicity Shampoo is a clear formula, free of dyes. It isn’t thick, but, it isn’t watery, and only a little amount is needed to cleanse my hair. The Simplicity Hair Oil Simplicity Shampoo is an amazing cleanser for both my hair and scalp. After using it, my hair and scalp felt cleansed but not dry. My hair was soft, and didn’t feel stripped. For those of you who love a shampoo that lathers well, then this one is for you. I know that lather doesn’t mean cleaner hair, but I do like to see it. I found that when applying the Simplicity Hair Oil to my scalp prior to shampooing helped with the softness of my hair post shampoo. And after using the Simplicity Conditioner, which I will review next week, my hair has slip, is soft, and has some shine. The Simplicity Hair Oil Simplicity Shampoo, although it contains peppermint oil, it isn’t at all noticeable fragrance wise. I did experience a more herbal-like floral scent, which was rather light. It wasn’t something I could say I loved or hated because it was barely there. 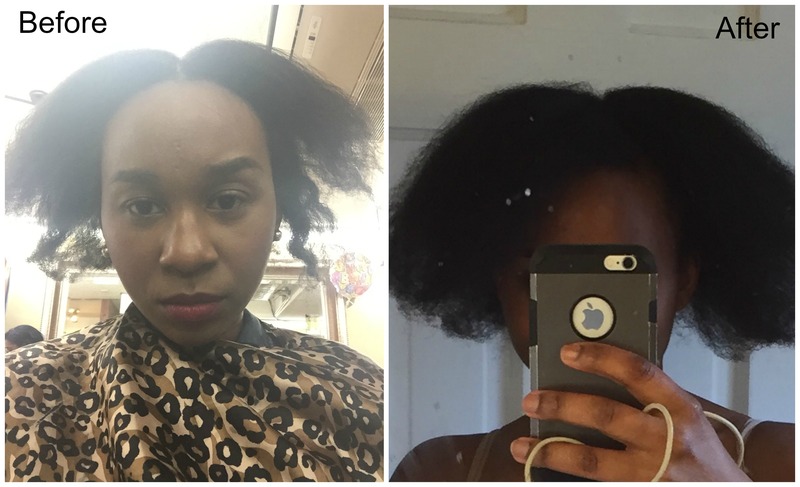 Overall, I’m happy with the results I’ve experienced using the Simplicity Hair Oil Simplicity Shampoo. The Simplicity Hair Oil combined with the Simplicity Shampoo and conditioner have helped improve my hair growth. The patch of hair that was short, brittle and breaking off has grown. 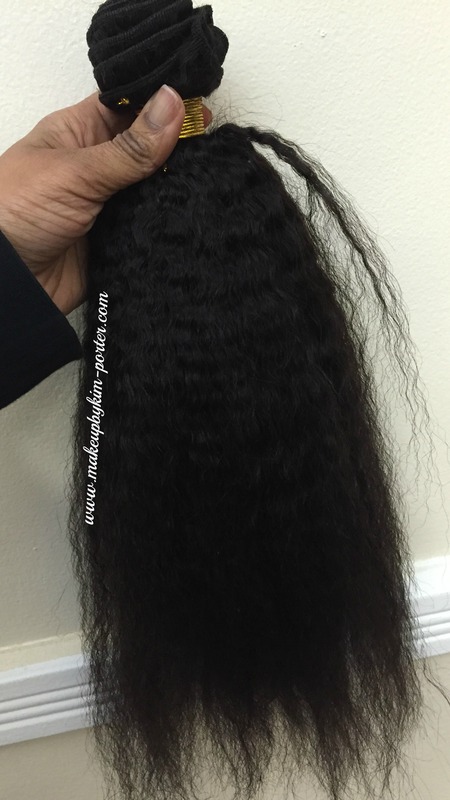 Even though I have a full sewn in weave, I can feel the hair growth through the net to which the hair is sewn on to. The hair along my hairline has grown, too. Although, costly, $20.75 for an 8.5 oz bottle, I think the Simplicity Hair Oil products are a good investment if you’re looking for a product, a natural product that works in improving hair growth and strength. If you’re a DIYer like me, you can also try your hand at mixing your own hair growth oil, and then just pick up the Simplicity Shampoo and Conditioner. Ingredients: Water, Cocamidopropyl Betaine, Sodium Cocoly, Isethianote, Disodium Laureth, Sulfosuccinate, Glycerin, Tocopherol. Viscum Album (Mistletoe) Fruit Extract, Articum Lappa (Burdock) Root Extract, Ginger Zingibar Officianale (Comfrey) Extract, Wheat Amino Acids, Mentha Piperta (Peppermint) Oil, Hydrolyzed Soy Protein, Pathenol, Citric Acid and Fragrance. 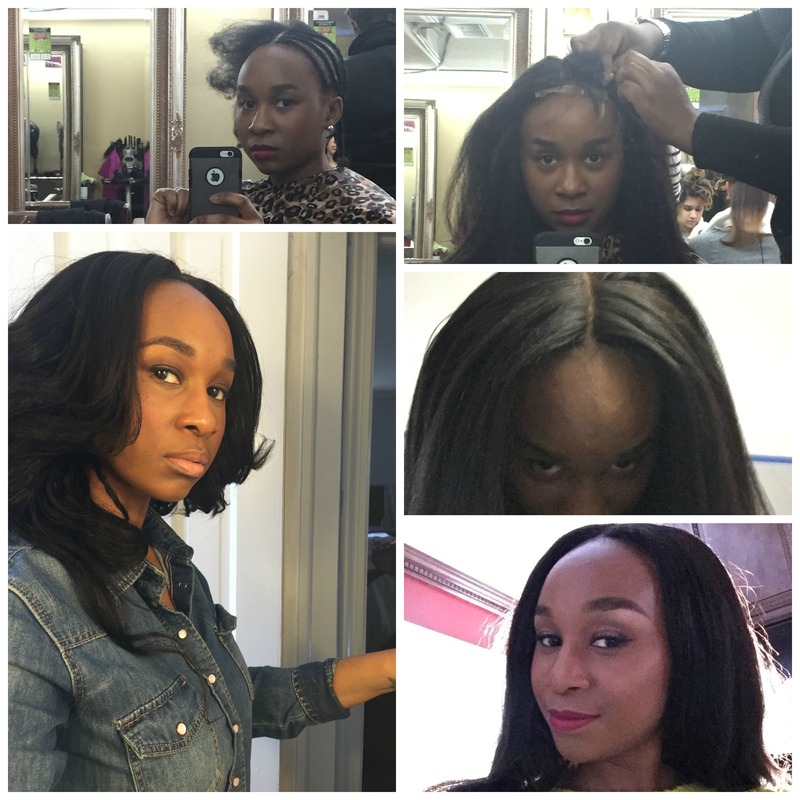 Have you tried any Simplicity Hair Oil products? What are your thoughts?